We seriously have the best customers. They are always so generous in their willingness to share ideas, experience, and strategies with our readers. I loved the spirit of one of our customers who recently jumped into the $10K Realtor Contest with a fun entry, who turned one Master Marketing Schedule idea into an exciting and fun opportunity to reach out to some of her current clients. Meet Helene Nunez and see what SHE’S doing to shake things up in her market! Q: Thanks for sharing your ideas with us! Can you first tell our readers a little about yourself? A: Sure, I am a mother of three daughters and two stepdaughters, and I am so blessed to have 12 healthy grandchildren. I am a native of Tampa, Florida, where Irma just paid a visit! I am so thankful my family is all safe. I am a family of seven. I have two older brothers, then me, then two more brothers, then two sisters. (We are all a family of workaholics!) My Mom, Abby, and stepdad, Bob, came here to Louisiana to avoid Irma. My mom is/was a licensed broker in Tampa, and if truth be known, she could sell ice to an Eskimo! My sister Paula is also a Realtor in Tampa. And she is super amazing and is a true workaholic, like me! I moved to Louisiana in 1995. I started real estate in 2003 with Keller Williams, then three years later opened Helene Team Realty. I was very nervous taking the broker exam, and I told my two clients that wanted me to list their home that failure is not an option. I had to pass this broker exam, and God was with me, and I passed! I always wondered what I wanted to do when I grew up, and in my very first week of being a Realtor, I KNEW I’d found my calling. I was terrified, but absolutely love what I do. Q: I loved that you took on one of the fun Master Marketing Schedule tips and chose the Trail Mix Day! How fun is that? What made you choose that and what kind of reaction did you get from clients? A: Well, when I saw that it was National Trail Mix Day, I thought, I can do that! So, I went out and purchased several bags of Trail Mix, and took it to the clients I was currently working with, and man, oh man, they were so excited! And, their excitement, made me realize even more that I found the right company to work with. I love your ideas! Q: What do you like most about the Schedule and what, if anything, surprised you about it? A: I was totally surprised by most of the ideas. Man, they are fantastic. I love the schedule because it gives me ideas that I could not possibly think of myself. What great inspiration. Q: What’s most important to you in terms of staying top of mind with your sphere of influence and farm area prospects? A: Staying top of mind with your sphere is everything. It is so important. 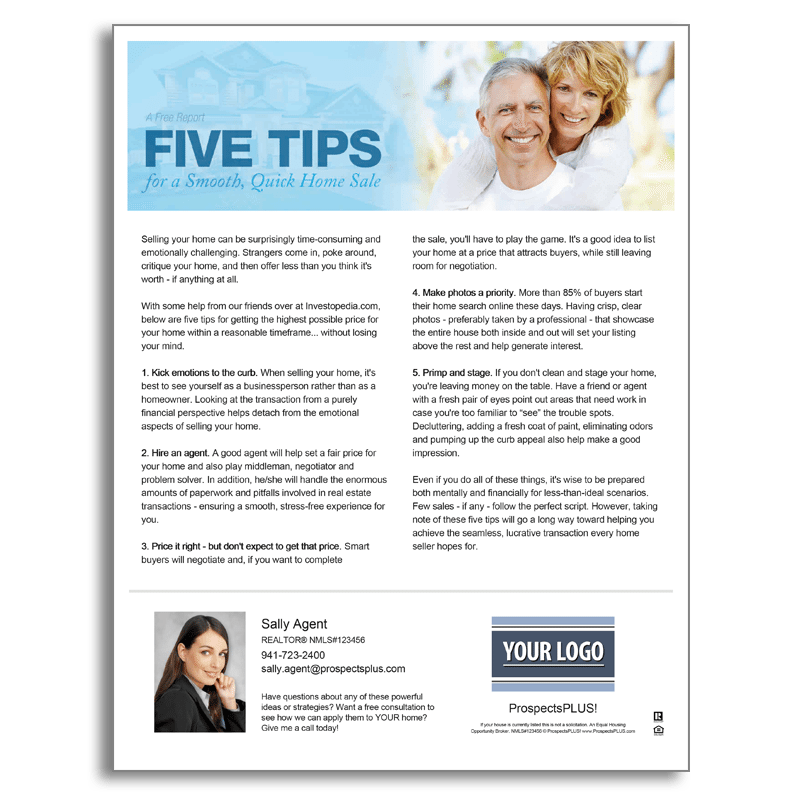 If you don’t stay in touch, your past client can and will buy from another agent. Real estate is about building long-standing relationships. You see, you want to sell to your client, and when done the right way, then, they refer their family, friends, and even their children to you when they come of age! Q: So many agents struggle to market because they never put a database together. What advice would you have for them? A: No database??? You have to have a database to build your business. That is the most basic need. And, be sure to feed it daily. And, one day when you retire, you will actually have a business to sell. Your book of business IS your database. Q: How often do you personally connect with your sphere? A: I try to contact my sphere four times a year. Some have moved and have different addresses, and some have changed their cell phone numbers, but I drive by their house and drop off a little gift. Maybe some fresh baked cookies, or a treat of some kind. But it is so important to stay top of mind with your sphere. Q: What expert advice would you have for agents just beginning to brand and market themselves in an area? A: In order to grow your business be consistent. Start with a database. That IS your business. Educate yourself. Knowledge is power, and the more you know, the more you can protect your clients’ interest. Yes, it takes time and money. But, if you stay disciplined, the money will follow and you can build a great business. I’d also like to share one of my favorite quotes by Albert Einstein: “Strive not to be a success but rather be of value.” If being of value is your focus, success will follow. Q: If agents have a referral for you, how can they reach you? A: The best way to reach me is by my cell phone 504-427-6183. My office number is 985-639-3991. Email helene@heleneteam.com and my office is in Olde Towne Slidell, 2010 First Street, Slidell, LA 70458. Thank you so much, Helene! You’re awesome! If you are a customer and would like to share ideas of your own, please contact me today to set up an interview! I can be reached at julie.escobar@prospectsplus.com. Be like Helene! Jump into the contest! CLICK HERE TO LEARN HOW YOU CAN WIN $10,000. The savvy agents? Are out there in their neighborhoods, and in their communities and in this powerful age of information. Top agents are presenting themselves as the resource they know can and will make a difference in terms of how they make decisions for their families. So, how do you brand yourself as that resource? 1. Consistency & Content. Farming a geographical area is a time-tested, proven method for garnering new listings and referrals. Yet for many agents, the what (what to send, say, create), the when (how often) and the cost (that one speaks for itself) has stopped them from farming consistently. Maybe a mailing here or there, but nothing that will truly help them become a brand name in a market area. That’s why we created the Market DominatorSM. We’ve got the ‘what’ and ‘when’ buttoned up for you. Each month we have two powerful, consumer-centric articles on the front, bright, eye-catching info-graphics, engaging direct response offers, free reports that can be used as fair trade items, fun conversation starters, and a timely agent message. On the back, we have content-rich articles and ideas that consumers love to share. All of this in an attention-grabbing 12 x 15 poster that is delivered to EVERY home in the farm area, EVERY month, via the cost-saving Every Door Direct service from the USPS. 2. Get out of stealth mode. 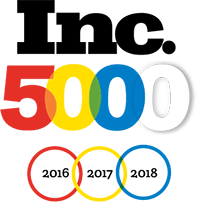 We recently viewed a video from a powerhouse agent and coach who challenged her coaching members and agents worldwide to get out from behind their computers and out – front and center in the communities they are services. Social media is an amazing place to speak one-to-many, and develop powerful agent-to-agent referrals and connect with your sphere — but nothing — NOTHING will ever take place of meeting and greeting the folks in the neighborhoods you serve. Our Dominator customers know that owning a market is like peeling an onion – there are many, many layers to it. Door knocking, canvassing, Q&A sessions at your local market, coffee shop, or library, open houses, charity drives, school sponsorship participation — all of it helps consumers put your face with your name, your name with your business, and helps brand you as THE community resource they can turn to get information. 3. Beef up your collateral (and sell yourself). What do consumers also want to know about the agents they will choose to help them with one of the biggest financial transactions of their lives? Your RESULTS. 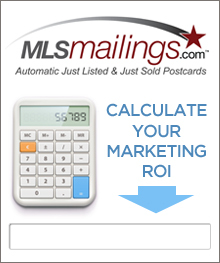 Fire up those Just Listed and Just Sold postcards – share statistics and testimonials, showcase what makes you unique and how that benefits THEM. Use door hangers, and free reports to extend your reach, and the extra Dominators that are sent to you to show potential sellers how you are going the extra mile to ensure that every home you list is sold as quickly as possible and for the highest price available. In the WIIFM (What’s In It For Me) Channel that folks are tuned into every day – they want to see these two things: RESOURCES & RESULTS. Having a consistent campaign in place to farm and create passive income for years to come. This is simple. Yet not always easy. Simple because most of your competition will not commit to an area for any real length of time. Simple because we have seen the results of at least 10 percent market share first year. 20 plus percent the second year. Most agents? Won’t commit to geographic farming. “It takes too long.” “It costs too much.” The two biggest ‘reasons’ for not jumping in. That’s good news for the agents that do. It means that they fall into that 93/7 rule. They will be the 7% of agents ruling their markets while the other 93% continue ‘one-and-done’ marketing or worse, no marketing, just chasing the next deal. Chasing the next commission is not a fun way to earn a living or live. Our industry is a treasure trove of opportunity. It’s one of the few where you have zero caps on how much you can earn or how far you can go regardless of gender, race, religion, geography, history – anything. It does take a little planning, a little courage, a little consistency, a little skill building, a little stick-to-it attitude, and the right tools. This month commit to being part of that 7%. Fire your business up on all cylinders. Work your sphere, your farm, and your niche – each month — EVERY month. The results? A career and life that IS fun, exciting, rewarding, and anything you want it to be. Questions about how to DOMINATE in your market? Call Todd Robertson at 702-683-1967 or email us today. 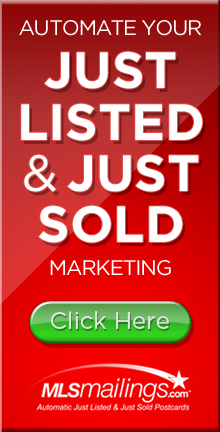 Need help building your collateral materials, sending Just Listed/Just Sold postcards, finding the right free reports for your buyers and sellers, or building a better brand for yourself? Visit us online at www.prospectsplus.com or give us a call today at 866.405.3638. Competition hasn’t been this fierce in years so savvy agents are using every tool at their disposal to generate new listings, stay top of mind, and brand themselves as the neighborhood expert to call. Staying in touch with the VIPs in your sphere of influence makes sense. Those folks know you, trust you, and are already willing to do business with you. But how do you cultivate new relationships in markets that you really want to make an impact? You use smart tools that connect you with consumers in communities. You offer items of value. And you get out there and meet the people. Ask for referrals. Never be afraid to ask for new business. When you get comfortable with the level of service you provide, asking for the business gets easier. Get to the point where you KNOW that you have a marketing plan that helps sellers get the most from their house. Know that you can assist buyers in finding the perfect home for their family. Know that you are an advocate for consumers, and know that you are the best person for the job – then you have an obligation to let people KNOW that you are a real estate professional who can help. Mail consistently (3-7-27 law). We’ve shared before the 3-7-27 law of branding, which is that it takes three contacts for someone to recognize your name, seven to put your name with your business and twenty-seven to become a brand in someone’s mind. If you are losing business to other agents in your market area, is it because they are consistently making more contacts and staying more top of mind than you are? It’s a tough question to ask, but if you can show up, and show value consistently, then sellers and buyers are going to consider you the brand to trust with their real estate investment questions and needs. Mind-share equals market share. Our Market Dominator members know that they are showing up month after month with the 12×15 Market Dominator to ensure this kind of consistency and value are creating that mind-share and market share. Let people know what areas and price points that you service. Through your marketing and prospecting, let people know where you do business. If you’ve ever lost a listing because a friend or acquaintance said, “Oh, I didn’t know you worked that area,” you’ll get the message behind this step. Thank your VIPs. Thank everyone for their referrals. Go the extra mile. Send a card or letter to them after the fact. Say, “Thank you for your kind referral. It’s the lifeblood of my business and no small thing, I know, so I appreciate it. Know that I’ll treat them with the highest possible level of care and you can rest assured they, and their interests, will be well taken care of. I’ll also keep you posted on how that referral is going so that you know your friends or relatives are in good hands.” Stand out in every way. People want to do business with those who they know can get the job done with the least number of headaches and the highest return on investment. They also want to work with people who are service-minded and extraordinary in their client care. That old adage, “they don’t care what you know until they know that you care” has never been more true. Showing up in every way possible in your market place is critical to owning that market share. Take the time THIS month to put your plan in place to ask for referrals. Can you make ten extra calls this week towards that goal? Be consistent. The 12×15 Market Dominator is a powerful way to show up each month with value-added content and calls to action. Follow those mailings up with phone calls and door knocking in that geographic farm to help folks put your face with your name and know you are a resource they can count on. Review your marketing tools, your website and social media. Are you letting people know the areas you serve? Remember to let people know how to reach you if they have referrals. Review your business cards, email signature line, and marketing tools. Send thank you messages weekly. We’ve got some easy-to-order Thank-You postcards that can streamline that process. Make real estate farming a top priority this season and you’ll start to see returns on that investment. Stay strong, and let us know if we can help you. If you’d like to learn more about the Market Dominator, call Todd Robertson at 702-683-1967. Need additional marketing help? Contact our team at 866-405-3638. Hard to believe it’s almost September isn’t it? Taking a cue from this week’s Master Marketing Schedule tip which is to send the Hello Autumn postcard from the Holiday series, I thought it was a great time to share some tips for getting a jump on staying connected with your sphere and farm in this fun way, because staying in touch and top of mind never goes out of season. Before you buy a card, stick a stamp of figure out where your mailing list is — consider these eight great holiday tips! Be clear about your message. Even when you’re sending holiday postcards, you can use the reverse side to send a great message to your customer base. If you are sending to both your sphere and farm, you may want to consider altering the message slightly for each. Make it personal and heartfelt, with a note of thanks for allowing you the opportunity to serve them as customers — or in the case of your farm – the community. Serve two purposes. Are you having a holiday open house? Customer event? Charity drive? Looking for a good time to stop by with a small gift? You can include that information on the cards as well. Don’t be salesy. Holiday greetings are not about the sale – they are about the connection. Keep it warm and personable. Don’t wait for just Christmas. Many top agents send a holiday message once a month to their sphere. Back to School, Halloween, Thanksgiving, Christmas, New Year’s, etc. There’s something to celebrate all year round, and it’s a fun way to stay connected and stand out as someone who is “there” more than just in the month of December. Have some fun with it. Got a great team? Or just a great personality? Take some fun pictures and opt for a photo-card rather than a more traditional card and don’t be afraid to get a little creative with your photos. Don’t leave anyone out! You know all those mailing lists you’ve been collecting throughout the year? For Just Listed postcards, or the stack of business cards that have been sitting on the corner of your desk collecting dust? Order early. We suggest sending your holiday cards out at LEAST two weeks in advance of the holiday every month — and sending first class as opposed to standard-class to ensure timely delivery. Follow up. Sending cards is a great way to easily stay in touch. Pick a postcard, edit your message, add a list – and you’re done! In a matter of minutes, you’ve created a connection. However to really get the full impact of ANY mailing (holiday and otherwise) — be sure to follow-up – at least with the top 25% of your list. There is no substitution for this step. Imagine if you made it a point each year, every year, to speak with every single person in your sphere at least twice a year? Touch base, see if they have questions, thank them for being great customers, and say hello. Here’s what happens when you do: they remember you. They don’t list with another agent because your name wasn’t on the radar. They are grateful that you take the time to call. And one out of 12? Statistically, will do business with you or refer business to you. Here’s to a great holiday season ahead – and to staying in touch with your sphere and farm! Need help? We’re here for you! Call our team at 866.405.3638 today. We’ll help get your holidays started and save you money at the same time! Have a great one! Build your collateral collection. Choose four or five of your favorite Content Cards, and have 25 of each shipped to you. There are more than sixty to choose from on a wide variety of consumer-friendly information. These panoramic-size postcards are perfect for helping you stand out as a resource that home sellers and buyers can turn to in your market. Where can you use them? For any ship-to-you postcards (other than EDDM), this month use promo code AUG10SH to save 10% off your order, excluding postage. While you’re on the site – peruse the free reports that are easily downloadable as pdfs for your site and social media content you might like to share! Find them all here. Collateral tools such as free reports and content cards provide great visuals when presenting and as objection handlers. When working with consumers, often you’ll have both analytical customers as well as those who respond to visuals. The content gives you the analytic information you need, and the tangible piece gives you the visual. Both go a long way towards lending authority to you as a sales professional. Oh — and as a reminder… As long as you’re ordering shipped-to-you material, you might want to get your hands on some Football Schedules with magnetic backs. They are a hot-ticket item this time of year, and right now they are helping us help the kids and families of St. Jude Children’s Research Hospital! From now until September 15th, we will donate 10% of EVERY football series postcard order to St. Jude Children’s Research Hospital! Help us help the kids — and stay top of mind all season long! Click the banner below to get started! Good luck this month and happy listing! We’re here if you need us. Call our marketing team at 866.405.3638 if we can assist you in any way!